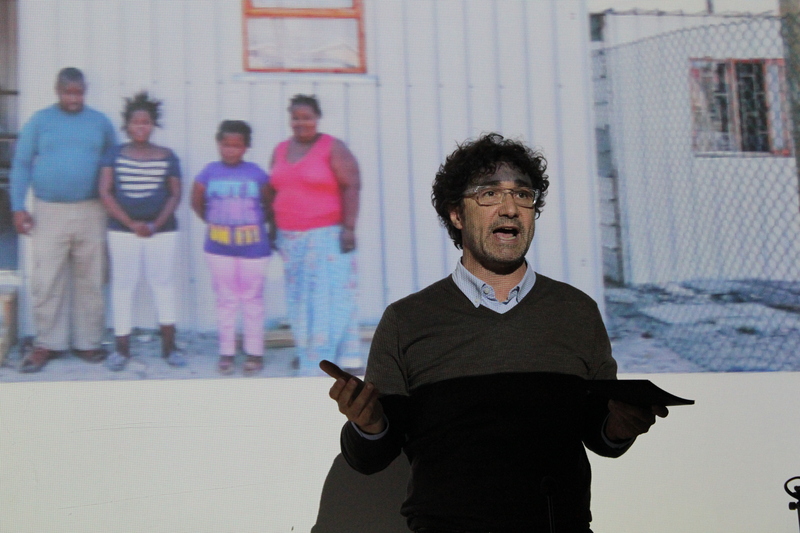 Tonight we had the pleasure of hosting Alfredo Brillembourg, as part of the IAAC Spring Lecture Series, presenting his concepts of Radical Urbanism and the search for a new architecture. Mr Brillembourg presented Urban-Think Tank (U-TT), an interdisciplinary design practice dedicated to high-level research and design on a variety of subjects, concerned with contemporary architecture and urbanism. The philosophy of U-TT is to deliver innovative yet practical solutions through the combined skills of architects, civil engineers, environmental planners, landscape architects, and communication specialists. U-TT’s work concerns both theoretical and practical applications within architecture and urban planning. Working in global contexts by creating bridges between first world industry and third world, informal urban areas, they focus on the education and development of a new generation of professionals, who will transform cities in the 21st century. This was elaborated during the lecture through the presentation of a series of key projects regarding Public Buildings, Infrastructure and Housing projects, with the aim of confronting realities to create realisable utopias, pushing designers to step out of their comfort zones and onto the ground, giving up the concept of “signature architecture”, and ultimately designing structures that will be finished by others, according to the specific needs at hand, transforming architecture into a moderator.